Hey everyone! 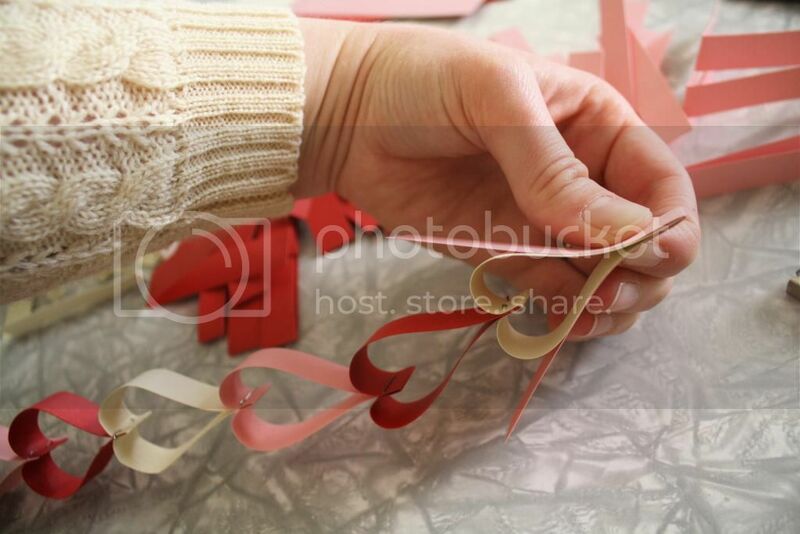 Want to find out how to make a super-easy and super-cute decoration for Valentines Day? 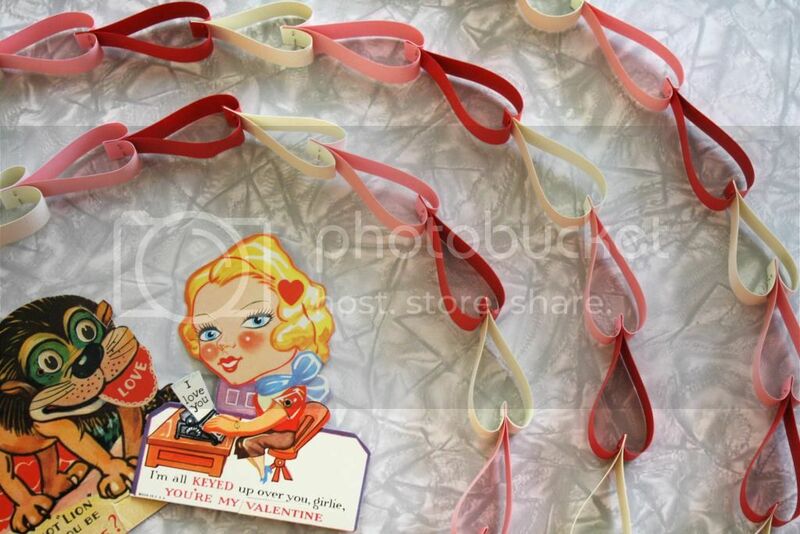 This paper heart garland is made with just three pieces of scrapbooking paper and some staples! I actually got this idea from my crafty co-worker. 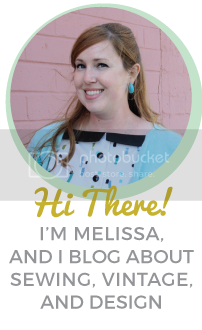 I thought it was so cute and clever that I asked her if I could share it on the blog, and she kindly gave me permission. 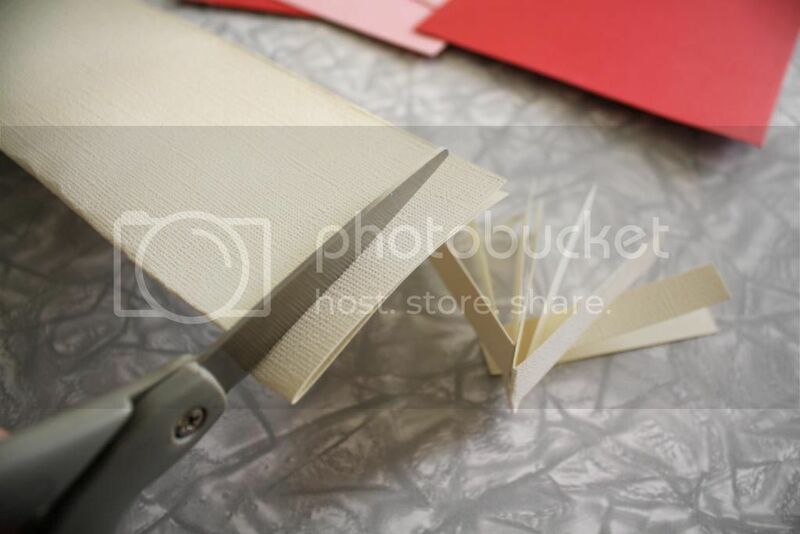 Step 1: Fold each piece of paper in half and cut on the fold line. Step 2: Fold each piece in half again lengthwise. 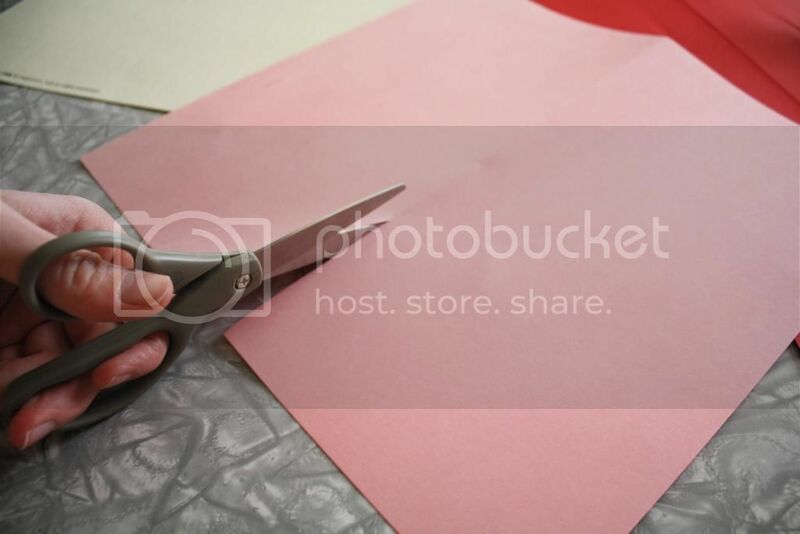 Step 3: Cut each folded piece into strips of even width (mine were a little over a half inch wide). 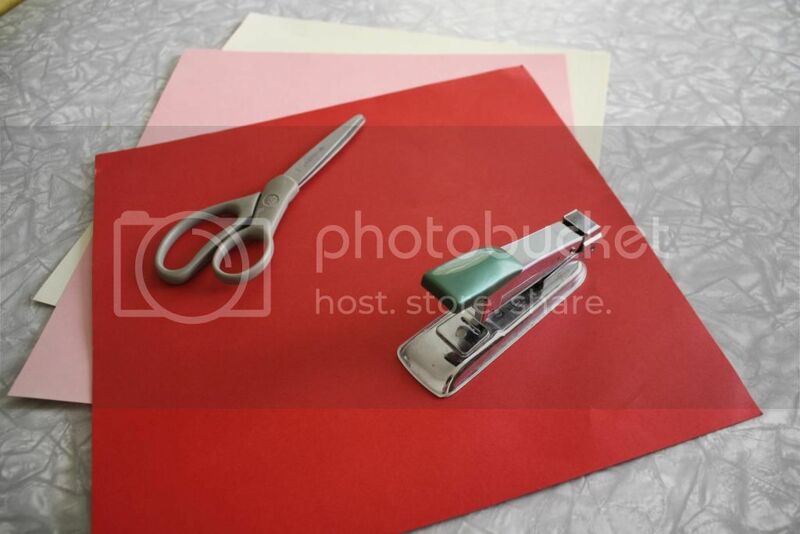 Step 4: Start by stapling near the folded edge of your first strip. 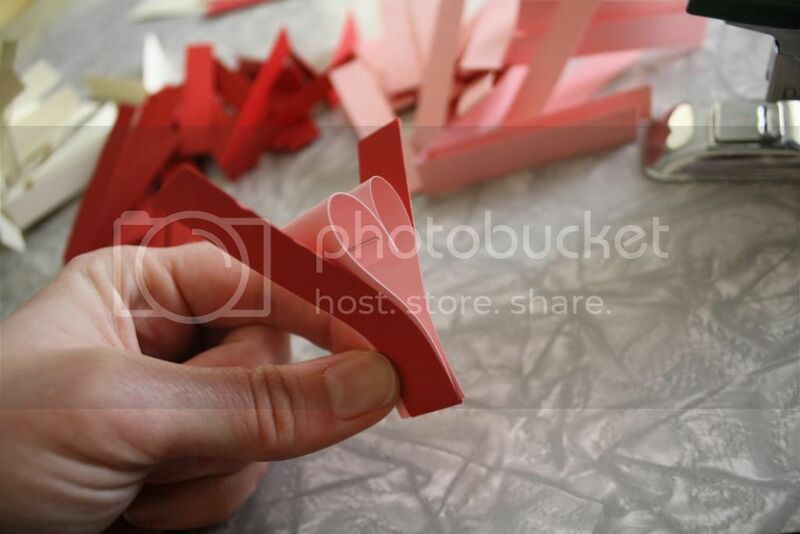 Step 5: Bend the sides outward and hold them together at the ends. 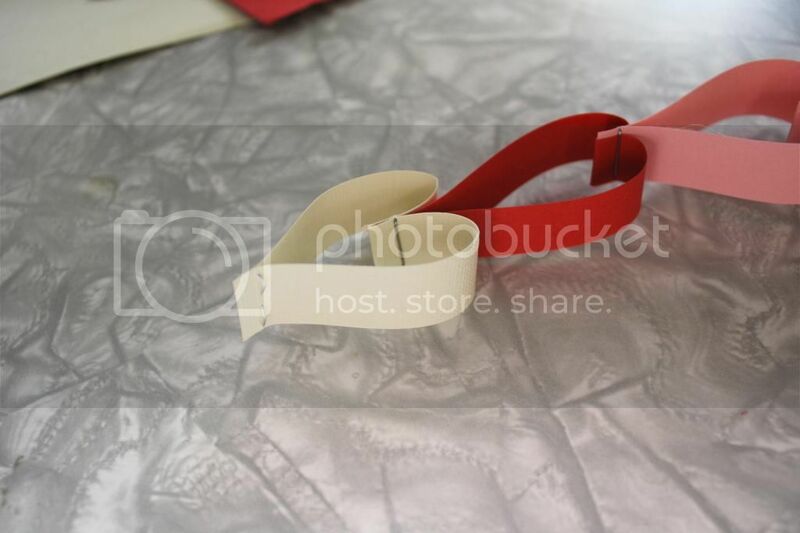 Step 6: Now, get your next piece and place it over the ends as shown below. Staple though both near the edge of the fold. 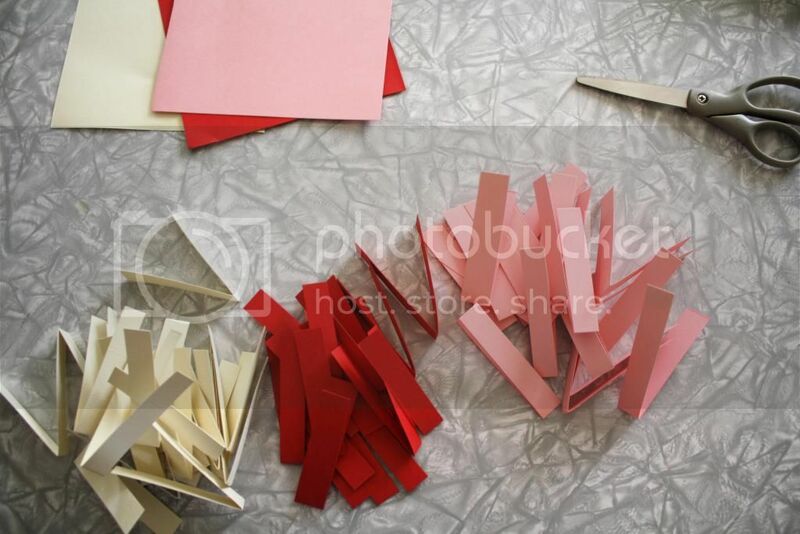 Step 7: Continue adding strips and stapling until you are out of strips or until your garland is the desired length. 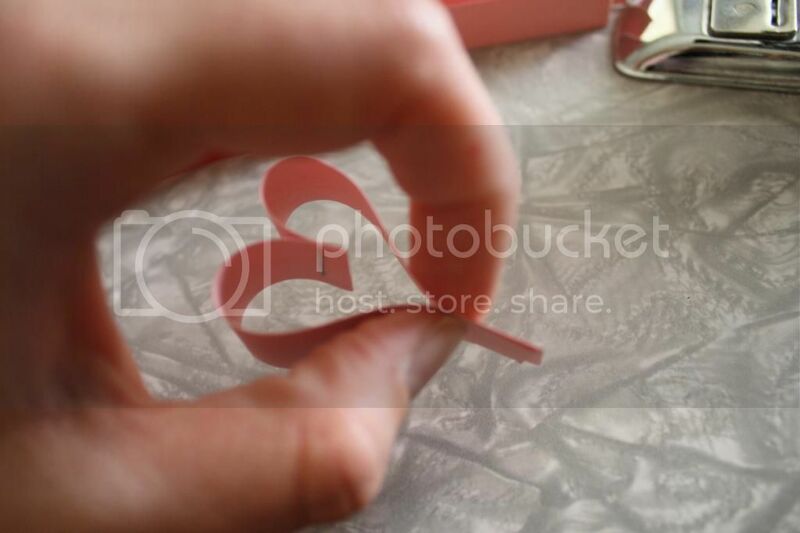 Step 8: For your last strip, simply staple the ends to create a heart. See? Super quick and easy! 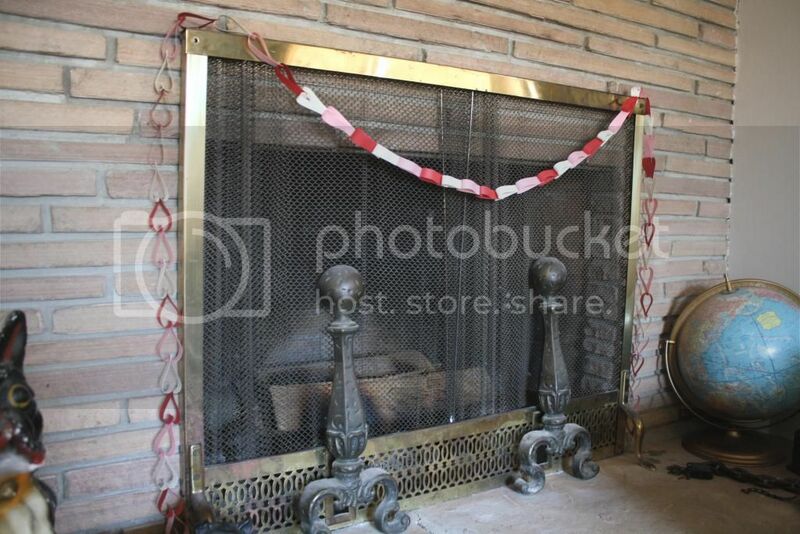 I used one garland to decorate our fireplace (this is only half of the strips- I made two garlands with my paper). The three sheets of paper yielded nearly 20 feet of garland! I hope you enjoyed this little project! 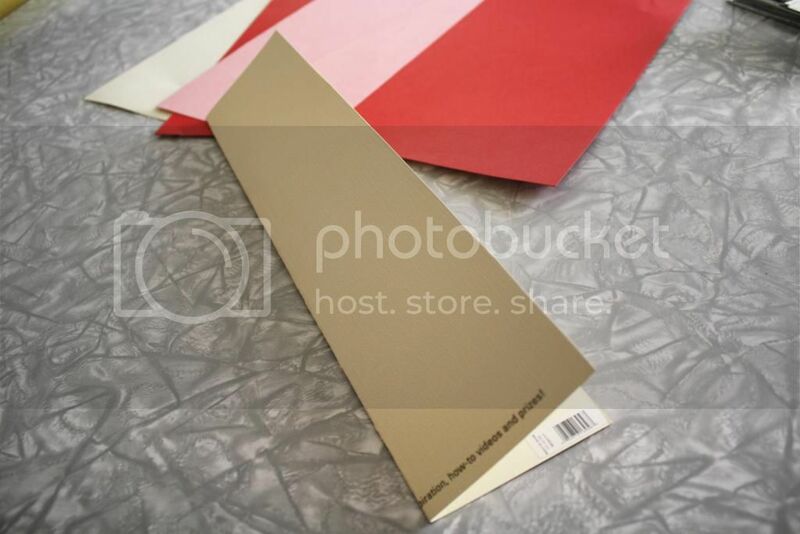 Are you decorating for Valentines?